Our three prizes: Waterfield Design's Cargo Bag, the Muzetto Outback and a Sleevecase. 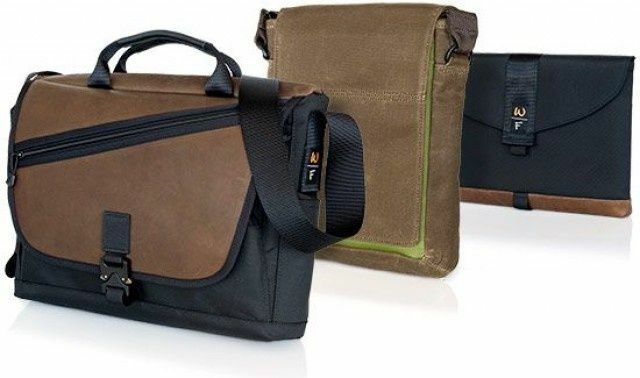 For the last week and a half, we’ve been asking Cult of Mac readers to spill out their gadget bags and show us what’s inside for a chance to win one of three incredible bags and sleeves by one of our favorite designers, Waterfield Designs, as part of our “What’s In Your Gadget Bag?” contest. We got dozens of fantastic entries, but at the end of the day, we only have three prizes to give away, so here are the winners. We’re nosey as anyone here at Cult of Mac. We are also complete nerds, which means that we’re always peeking into people’s bags at conferences, or checking out what gear people use. And we figured that you all might be just as bad, so we figured we’d rip open our man bags, handbags and purses and show you what’s inside, and why we carry what we do. We’ll be doing this periodically from time to time. 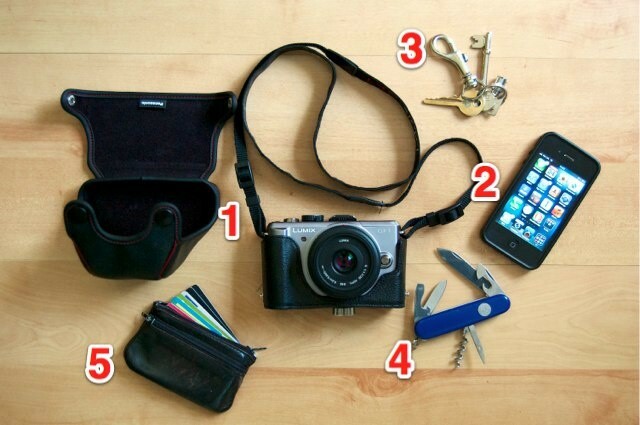 This week, we take a look into the bag – or perhaps we should say pockets – of apps reviewer Giles Turnbull. The contents of all my bags, organized semi-neatly and labeled for your inspection. We’ll be doing this periodically from time to time. This week, we’ll be checking out what’s usually in the three (!) 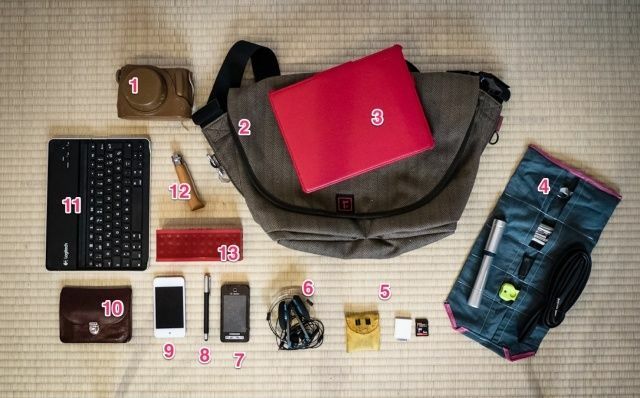 separate gadget bags of Cult of Mac Deputy Editor John Brownlee, and he’ll be filling us in on what everything is and why he carries it. And we figured that you all might be just as bad, so we figured we’d rip open our man bags, handbags and purses and show you what’s inside, and why we carry what we do. 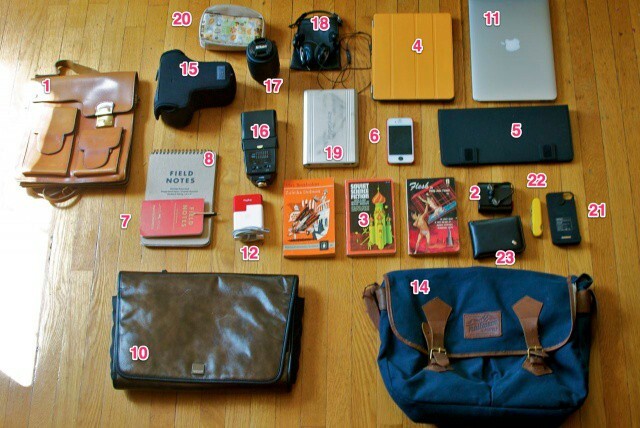 We’ll be doing this every Wednesday, and to start things off, I’ll be showing you the contents of my bag. What you see above is my everyday bag surrounded by its everyday contents. To see what’s in there, read on.